The logistics industry is gearing up for possibly the biggest challenge in its history. Still in its infancy, research and development projects into unmanned cargo initiatives and smart logistics are aiming to bring about massive disruptions in the global transportation industry throughout the entire logistics value chain. Organisations active in this industry have to adapt their organisation accordingly in order to optimise operations and revenues. This conference addresses the impact of digitalisation of logistics processes on efficiency and profitability. Focus topics: M2M, IoT, 5G; Big Data; Sensor Networks; 3D Printing / Additive Manufacturing; Robotics; Machine Learning; Security; Regulatory issues; Business models, and many more. During the conference, Smart Logistics Expo, a dedicated and focused business and research platform, will be hosted. This exhibition brings together leading global companies from the unmanned cargo supply chain. It is a unique opportunity to exchange ideas and network with this pioneering community of unmanned cargo researchers, engineers, business developers and end-users. 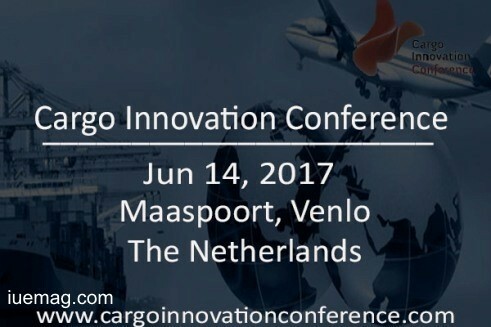 The iUeMagazine team is delighted to work with the Cargo Innovation Conference as Online Media Partners & is expected to bring Unlimited Inspiration for all readers from the proceedings of this event. Staying tuned to the enriching updates from this event is recommended.